We regularly perform rapid prototyping projects for French startups such as Footbar (equipment for measuring the performance of footballers) and Deepblue (equipment for measuring optical effects). Our plastic prototypes can be used for various applications. For example, they can allow the validation of a visual concept or mechanical properties. Our plastic parts can also be used to make marketing presentations or start marketing. Prototech helped a startup create a new product with plastic parts. We had to produce a set of 20 boxes for batteries for electric skateboards. There were several functional and visual constraints. First of all, the plastic prototypes had to be lightweight and resistant to ensure optimal end use of the parts. Then, the “battery box” had to be able to deform slightly because the deck of the skateboard had to be able to fold. In addition, the prototypes had to be able to withstand the temperature of a battery, i.e. around 90 degrees. Finally, the parts had to be able to withstand the numerous shocks occurring during the use of the skateboards. Concerning the finish, it had to be soft and matte. 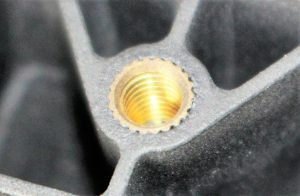 An additional difficulty resulted from the need to overmold 6 inserts per part for M4 screw threads. The plastic used needed to have the mechanical properties of both ABS and PC. Our workshop decided to make these plastic parts with vacuum casting of Px223HT. This material meets the functional constraints of the parts. A soft touch finish was also applied to achieve the desired finish with black paint. You can see photos of the parts and their inserts below. The parts fully satisfied the expectations of the customer. To see other applications, please visit our dedicated page. You can also read some customer testimonials about the service Prototech provided to them in terms of rapid prototyping. 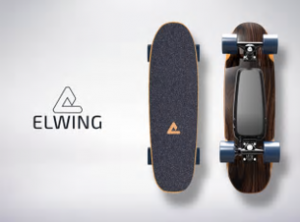 The startup Elwing Board has launched its product, and you can see some photos of it below. You can find more information about this revolutionary skateboard on indiegogo: The most compact and affordable electric skateboard. Save up to 40%. Now live on Indiegogo!